Trader Joe’s (Locations throughout the USA). To start with, there are a few caveats to keep in mind. While Trader Joe’s does focus on providing healthy affordable food, you can not automatically assume that something is healthy just because it is from Trader Joe’s. Also, their prices tend to be very affordable but in some cases, there are better places to find comparable items. Most foods are Trader Joe’s brand so it is not a place you can usually use coupons and they do not have sales or loyalty cards. Last, you can not do all your grocery shopping there and they often rotate stock which makes it difficult if you fall in love with one of their items. Even so, I love Trader Joe’s. 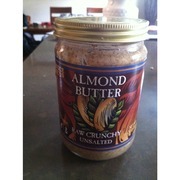 Trader Joe’s sells crunchy and creamy (I prefer crunchy). This stuff is amazing! My husband LOVES bacon and I can’t take all his joy away. This bacon has no preservatives and costs about the same as regular bacon at the grocery store. If you enjoy energy/ protein bars, you can easily make them at home. 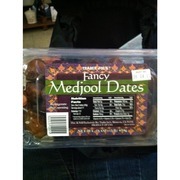 One of my favorite recipes calls for medijool dates and the ones from Trader Joe’s are great. Yes I know that Deli Meat is not very healthy. 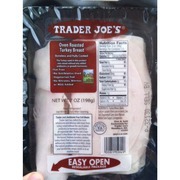 It is better to cook and slice turkey or chicken breast to put in sandwiches. Even so, sometimes I splurge and this is what I get. I have yet to find a better deal on cage free eggs without antibiotics or hormones. 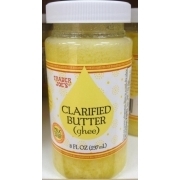 If you are wondering what the hell ghee is (I only recently discovered it), you can learn more about it here. It is shelf stable and you can store it for a long time. You can also make it at home. I have not yet tried that but will let people know how it goes when I do. 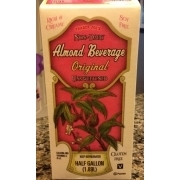 It took me years to garner enough courage to try almond milk. It is delicious and I wish I had not waited so long. I have not tried sweetened, flavored, or shelf stable versions but I may do so in the future. For more information about milk, please see my previous post. 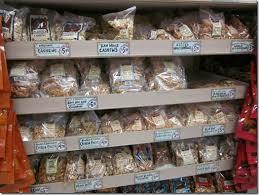 Trader Joe’s is my go to place for nuts. They have a great variety with reasonable prices. The options are endless. Some (but not all) of the kinds I sometimes buy are chia, flax, raw almond, pumpkin, raw sunflower, and roasted almond. Ok so the sugar content is a little high (13g for the whole container) but it is so good and usually half a container fills me up. 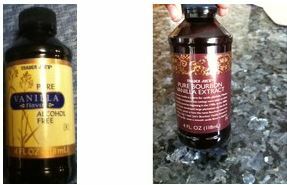 I am by no means a food snob but I swear that food tastes better when cooked with real vanilla extract as opposed to the imitation version. The bottle on the left is the imitation version and the bottle on the right is the pure version.